How can I solve problem of missing PayPal button? We offer a gift certificate on our Web site. 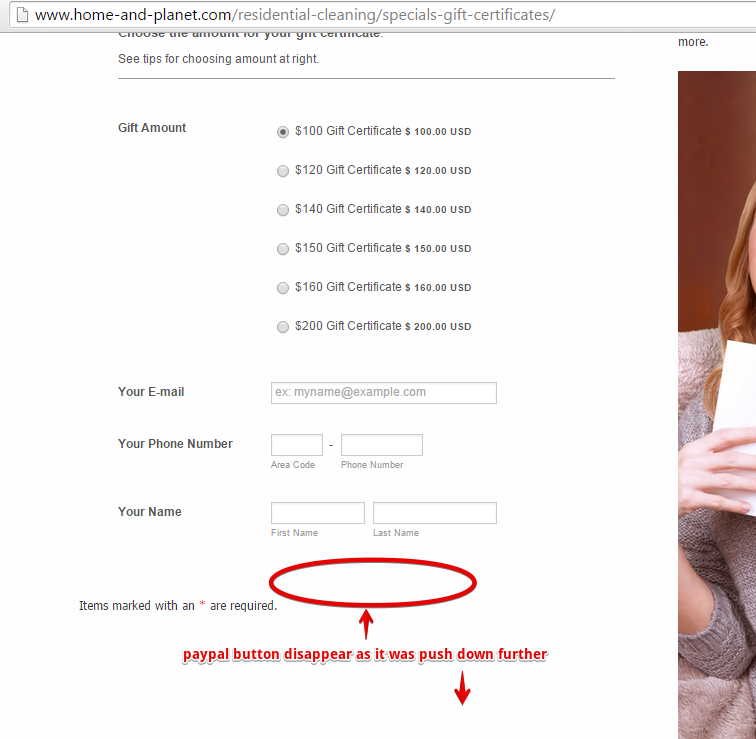 After our customer chooses an amount for the gift certificate, the normal Submit button on the form is supposed to change into a PayPal payment button. The form works properly on some browsers, but some of our customers have reported that the button disappears and prevents them from making payment. This is obviously a BIG problem for us, and is costing us money. The form works fine on IE and Firefox, but on Safari and Chrome it does not. some users have reported that it looks like the very top edge of the PayPal button is visible, but most report that the PayPal button is completely missing. I was able to see the problem when I initially test the form on your website. I did a bit of adjustment on the height layout of your jotform http://www.jotformpro.com/form/51898134205962 and it seems to have fixed the problem already. 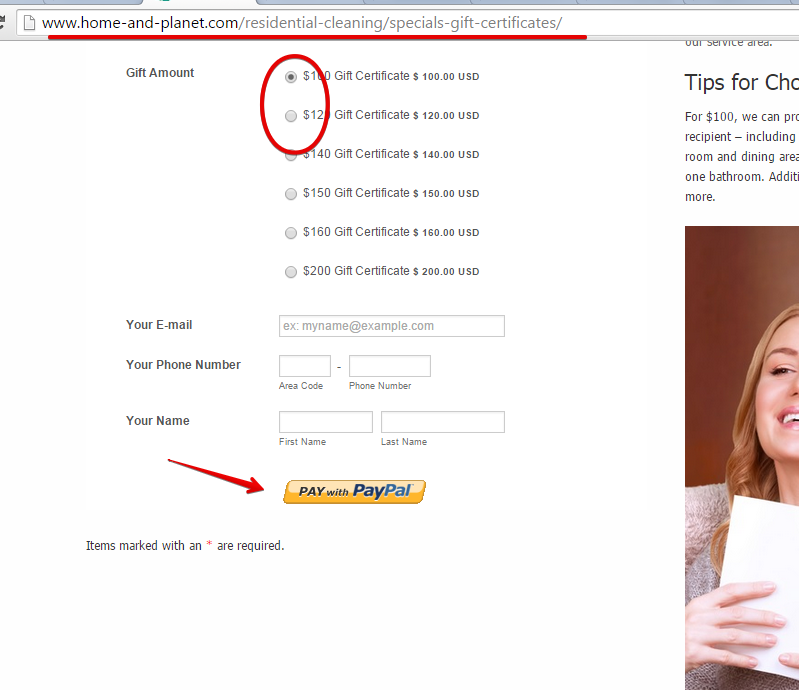 The Paypal button doesnt' disappear anymore when filling in the form. You may want to test also on your end. Please let us know if still not resolved.